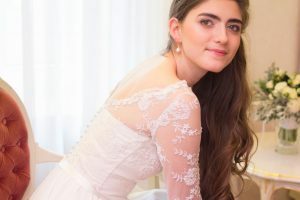 As a Personal Wedding Stylist, I help Brides to choose and curate their perfect wedding outfit so they can relax and enoy the preparation process. The moment that a woman realizes she has found “her dress“ always creates goosebumps. I call this the Magical-Moment. Something magical happens, which is hard to put into words – the woman transforms into a bride. Getting to that moment can be a difficult process. When options seem countless and time is limited, a long list of unanswered questions complicate the search: Which dress suits my body shape? – Which dress helps express my style personality? 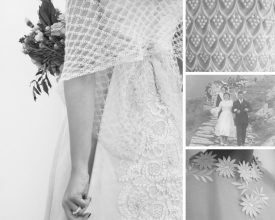 – How can my dress be incorporated into our wedding theme? – What’s the trend? What isn’t? 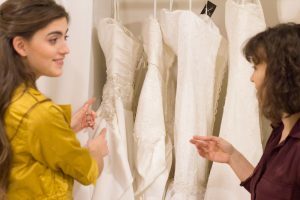 – Can I wear several looks with the same dress on my wedding day? As a Personal Wedding Stylist I am your “wedding planner for your outfit”. 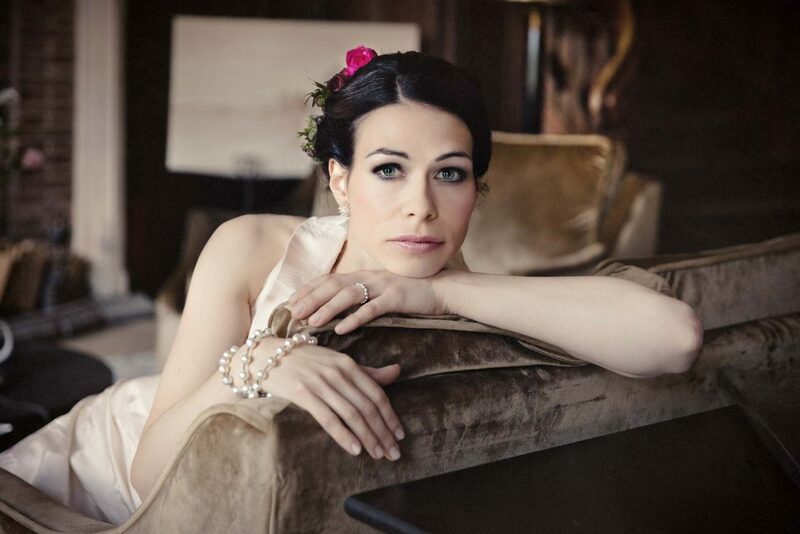 Together we will find answers to all of those questions and I will guide you on your way to a perfect bridal look. Providing you a Magical-Moment without stress and time-pressure. * Magic instead of Stress: Get your personal offer! You are insecure about where to start with your search of the wedding dress? In the beginning we will develop your matching story and outline for your outfit together, always considering and refining your style and body type. The next step is shopping and choosing that dress with your benefit in mind rather than the pressure to sell a dress. Your dream dress has not been designed yet? With support from experienced partners, I can provide a design and manufacture a wedding dress for you. Is a Complete Look what you are looking for? You need a stylist? We will find a story for you and a consistent theme for your outfit that enhances your style and your shape perfectly. One principle for elegance and aesthetics says “less is more”. With this in mind, I will lead you step by step through the combination of all details and elements of your look, avoiding a wild mix of many beautiful elements competing against each other. Different looks – wearing different bridal outfits at one wedding is becoming popular. If you want to go for that trend, we can plan on different options for your styling. Your bridesmaid(s), -mother should match your own outfit or wedding theme? We can plan for that. As an experienced and trained fashion consultant, I stay focused on your priorities in the process of obtaining all details and accessories and hair and make-up and further grooming elements, that are all harmonized for your best interests. 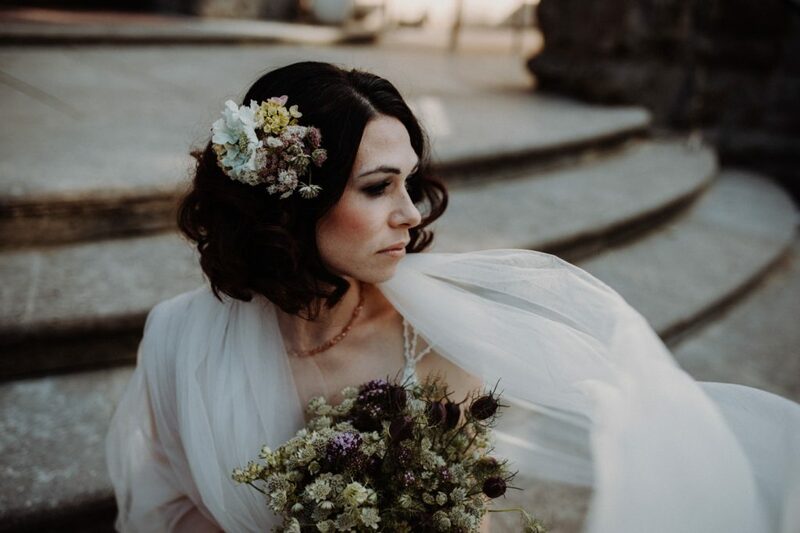 A coordination of all appointments concerning style, styling services on your wedding day or taking care of a dry cleaning service afterwards can be booked additionally if wanted. * Questions? Interested? I am looking forward to hearing from you! I had a dreamy day at the town hall wedding and got tons of compliments for the dress. Thank you!! !